Sometimes simplicity is the key when it comes to cocktails, especially when you’re entertaining. The hubs and I were at our supper club one night and the hosts had an Orange Crush cocktail station. A pretty tray with a bottle of Crown Royal, cans of ginger ale, glasses, an ice bucket, and quartered oranges in a bowl. There was a card on the tray that told us to fill a glass with ice and then crush the oranges by hand in the glass (allowing the orange oil to mist inside the glass). Next we were to top the crushed orange wedge with 2 jiggers of Crown Royal Canadian Whiskey (I use Crown Black since it’s a deeper darker version). The final step was to top with a bit of ginger ale. The Orange Crush. A cocktail true to its namesake that is a fresh and sippable drink all night long! 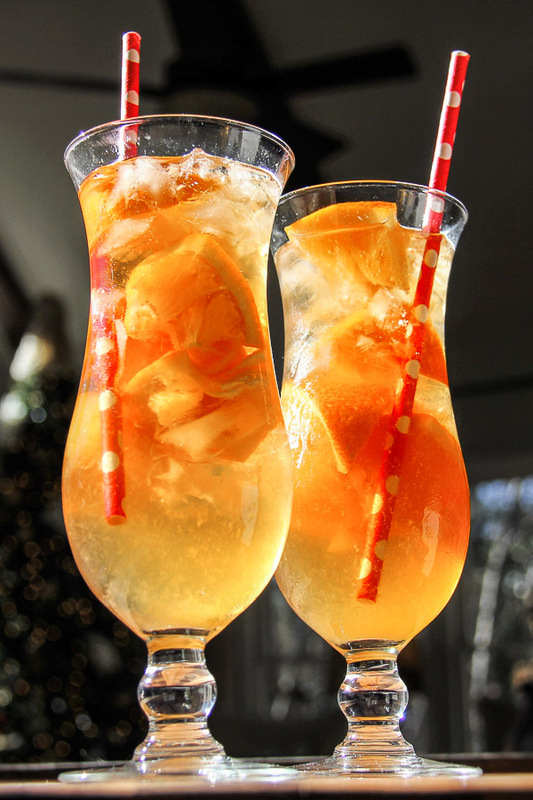 The Orange Crush cocktail is a fresh and sippable drink that is really elevated by its namesake: the fresh oranges that are crushed in the glass.